An Iranian official announced that Arbaeen pilgrims can obtain the entry visa to Iraq in sixteen provinces. Hamid Mohammadi, the Deputy Head of Iran’s Hajj and Pilgrimage Organization, announced that Iranian pilgrims can obtain visa for their entry to Iraq on Arbaeen [the 40th day after martyrdom of Imam Hussein] in sixteen provinces as of Saturday, October 15. According to a report by Mehr, as translated by IFP, Mohammadi said that currently the Iraqi consulate in Tehran, Mashhad, Kermanshah, and Ahvaz is issuing visa for Iranian citizens. However, he added, pilgrims can obtain the visa in 12 other provinces as of Saturday. He warned against possible fraud and blackmailing cases, and urged all pilgrims to register and apply for the visa only in the official website Samah. “Only those pilgrims who have registered in Samah portal will be allowed to enter Iraq,” he emphasized. 260,000 pilgrims have so far registered in this website to obtain their visa for Arbaeen. Pilgrims are required to obtain Iraq’s visa for Arbaeen rituals due to the concerns about security risks and sovereignty issues in Iraq, an Iranian source said. According to a report by Mizan, as translated by IFP, an informed source in Iran’s Hajj and Pilgrimage Organization said that it is a totally wrong impression that some people think the overcrowded border areas at the last days leading to Arbaeen will result in the lifting of visa requirement. Elsewhere in his remarks, the source advised pilgrims to take actions to obtain the visa and not postpone it to the busy days leading to Arbaeen. Under current circumstances, visa is issued in half a day without any trouble, he noted. He stressed that consular measures have been certainly taken to release the arrested pilgrims, but according to the Iraqi law, people entering this country without a visa, even pilgrims, will have to serve a six-month prison term. Arbaeen marks the 40th day after the martyrdom anniversary of the grandson of Prophet Muhammad (PBUH), Imam Hussein. 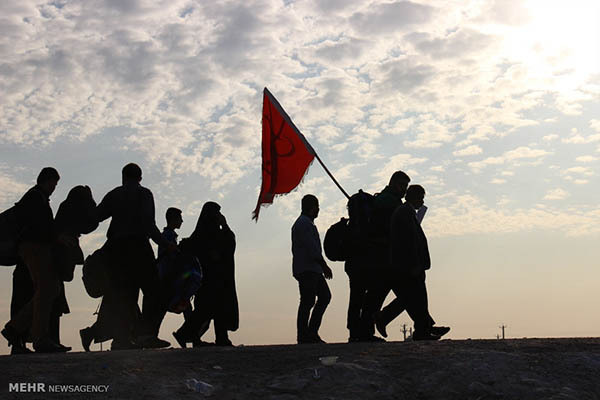 Each year, pilgrims travel long routes on foot to Karbala, where the holy shrine is located.